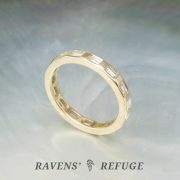 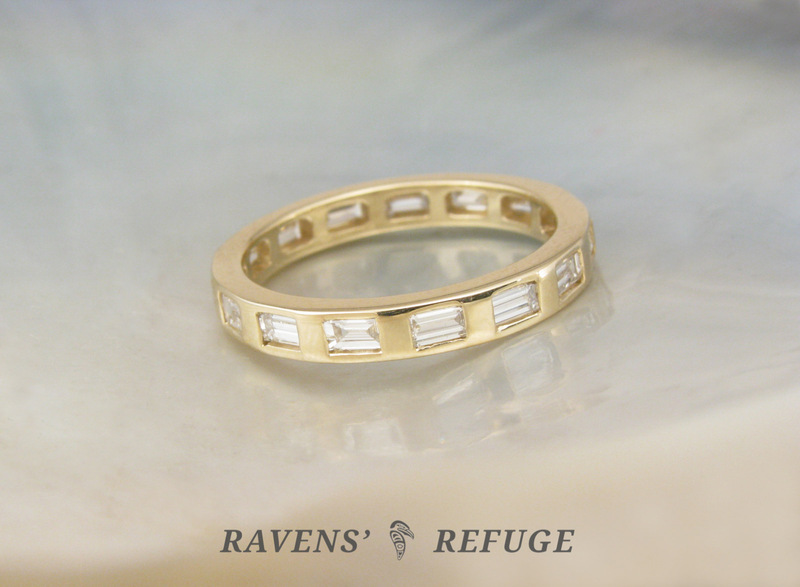 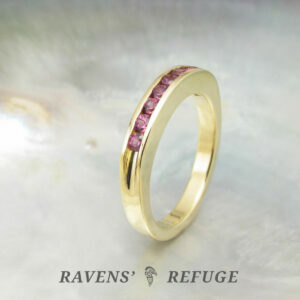 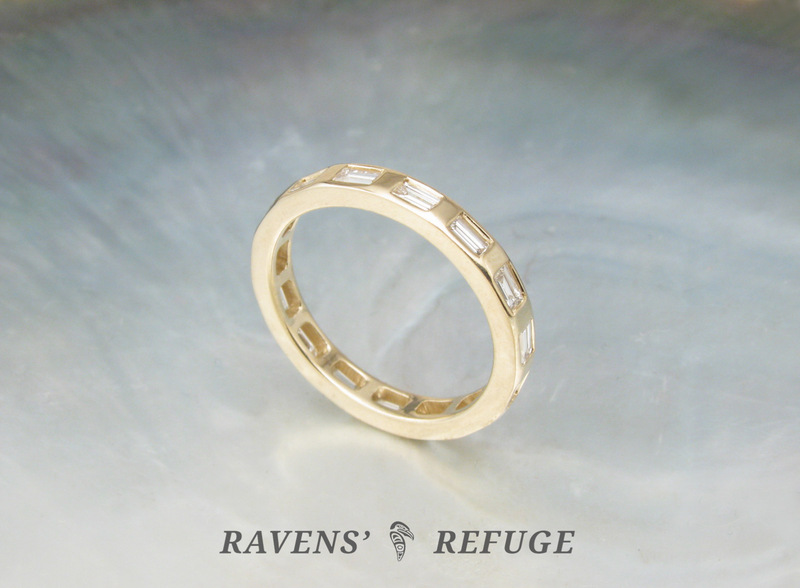 This beautiful band is 2mm x 2mm in dimensions and holds 15 flush set stones totaling approximately .65 carats. 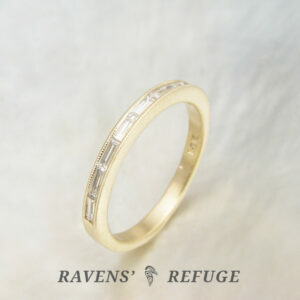 Each baguette diamond is 3mm x 1.5mm, SI / G-H quality. 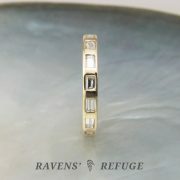 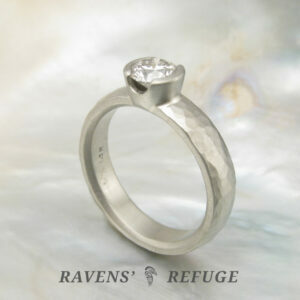 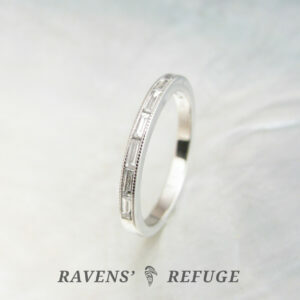 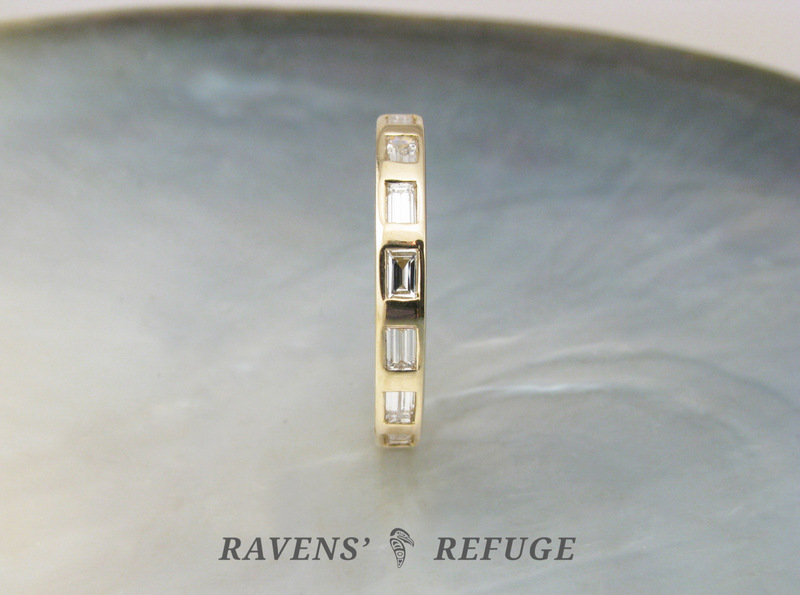 It is a dainty ring that packs a punch of sparkle!